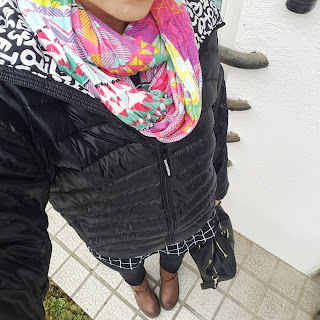 The temps are falling and it is getting more and more difficult to dress in something other than a sleeping bag. Anyone can be “fashionable” in the summer, but once there is snow on the ground, fashion goes bye-bye and survival is key. I am always cold, even in the summer, so when it starts getting cold out I layer for days. Don’t be fooled by Instagram photos. Fashion bloggers admit they do OOTD photo shoots in advance. Can you really wear that thin sweater and 6 inch heels all day in the middle of winter? I don’t even try. I like to keep it real. 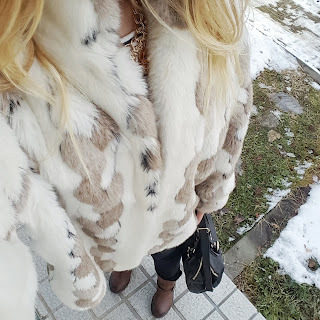 My 5 favorite style tricks to stay warm in Seoul’s bitter cold. 1. Doc Martens. They are by far my favorite brand of boot. I live in them all year and they have been surprisingly popular in Seoul for many years now. They are good in the snow and with an extra sock, keep my feet cozy in the cold. 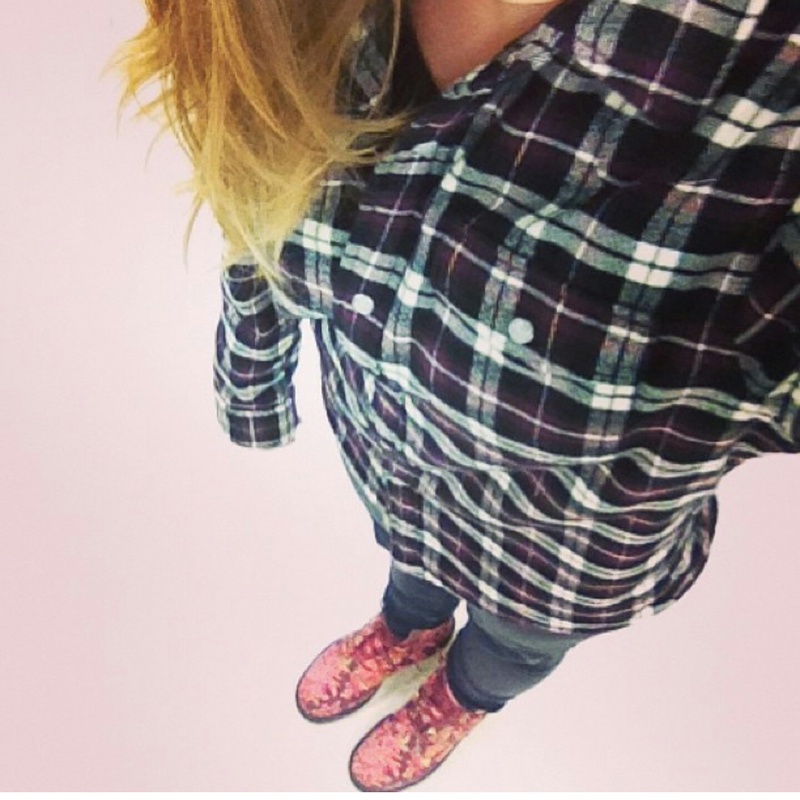 If you follow me on Instagram then you know my love for Docs. 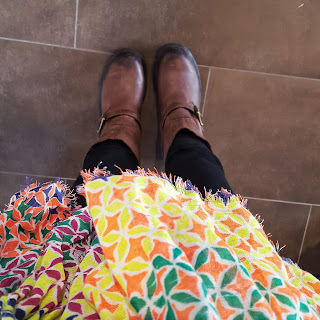 I’ll be doing a series featuring how to take a variety of their rugged boots and fmix them into something fashionable and fun. 2. 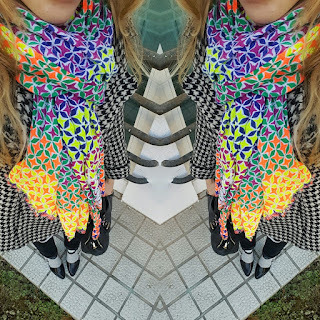 Scarves. The brighter the better in the winter. 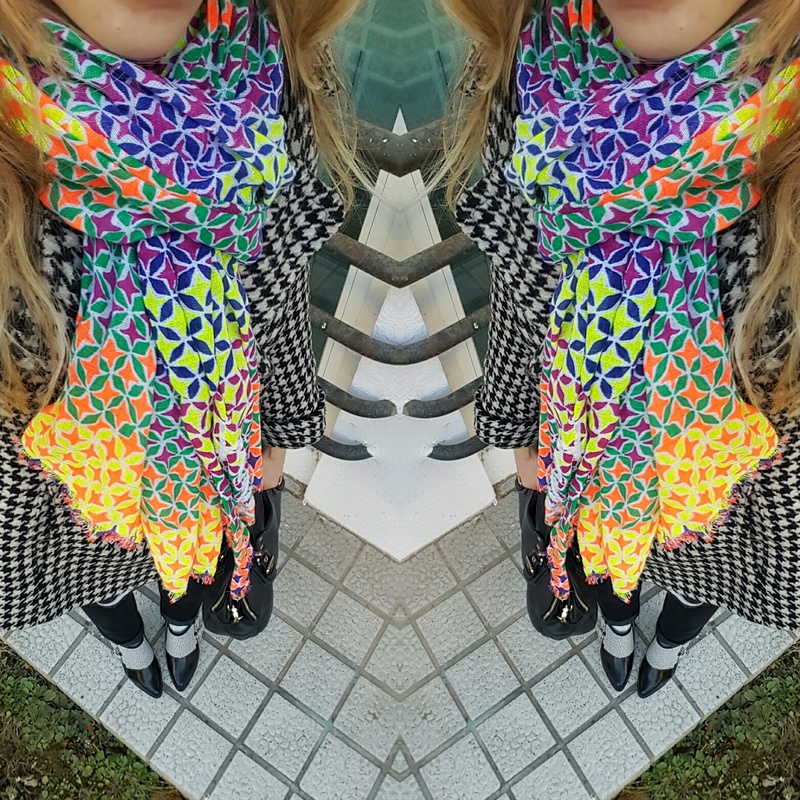 If you have a couple thin scarves you like to wear, twist them together then do the European pull-through. You’ll be surprised how warm and cute it is. 3. Sweaters and Flannel. 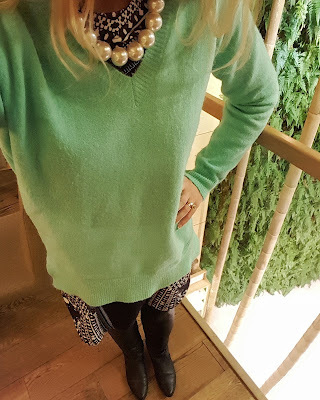 Whether you take it a little grunge with boots and a deep brown lip, or class it up with pearls (I worn the mint sweater over a dress), these thick layers will help keep you warm in the winter. 4. Thick leggings. 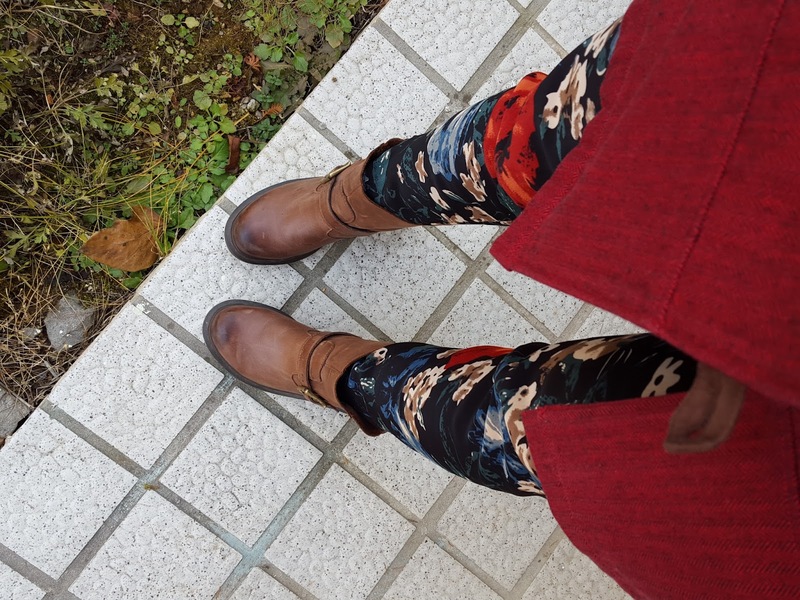 (preferably with a winter floral pattern) I love my floral leggings and wear them often in the winter. They are thick and warmer than jeans or my fave black pants. 5. Capes, Coats, and Fur. 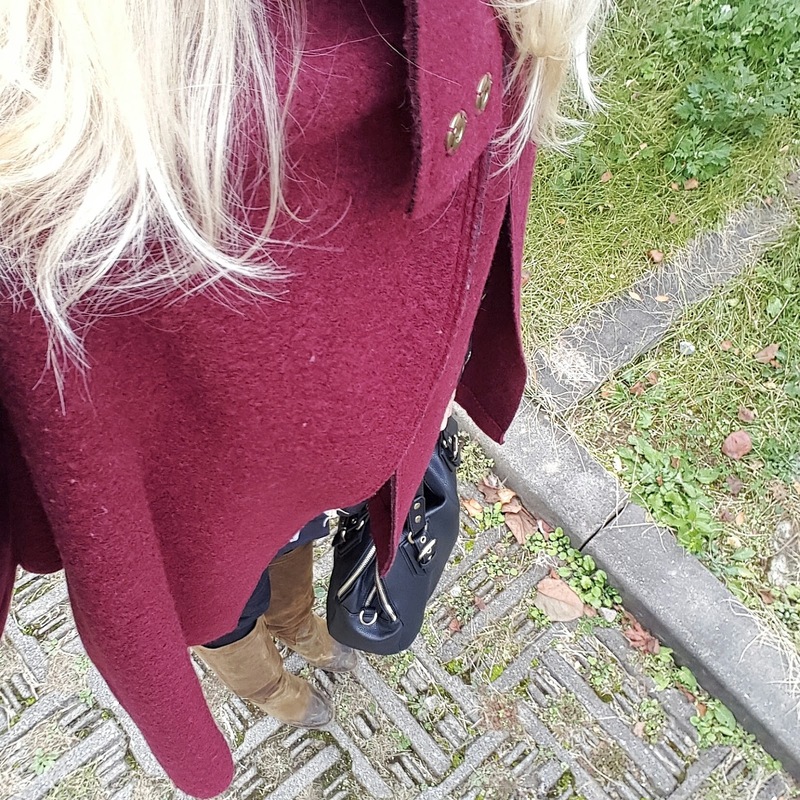 Depending on the thermometer I can usually enjoy a unique overcoat to cover up my less than glamorous sweaters. By owning cute and warm outerwear, you can get away with wearing it all day as your “outfit” since buildings, schools, and workplaces are usually cold.